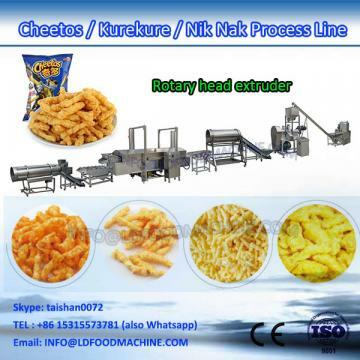 high quality snacks food extruder form the highest quality extruded collets from corn grits can produce kurkure, niknaks, cheetos,cheese corn curls etc. high quality snacks food extruder is for extrusion and shaping, other accessories will be allocated based on customers' requirement, such as oven or fryer, flavoring system, etc. 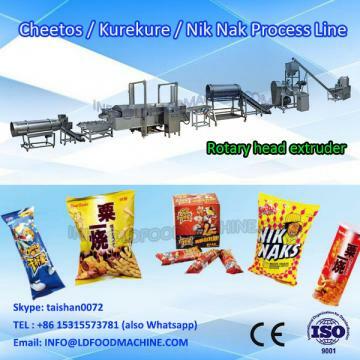 4. how does high quality snacks food extruder work? 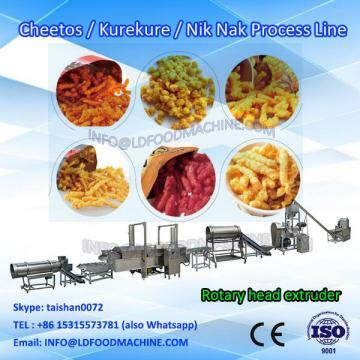 Here is a brief introduction to our high quality snacks food extruder, if you are interested in our machines or still have any questions,pls feel free to contact with me by mail or whatapp(0086-1566776101).